and Edward Kort, 10, working on electric devices. 21: Kids making microscopes. 22: Jack Hagar, 11, 6th grade making water drop lens. 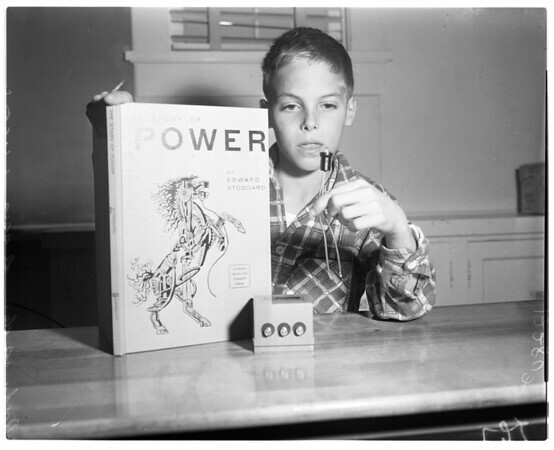 25-26: Andy Pepper, 11, reads how power is generated, and shows bulb which lights off of generator. 5-6: Teacher David Fordham demonstrates pulleys and weight to pupils".